Descrizione: CERBAIA, IN OTTIMA POSIZIONE, INTERESSANTE CAPANNONE PER COMPLESSIVI MQ 520 DISTRIBUITI SU 2 LIVELLI. 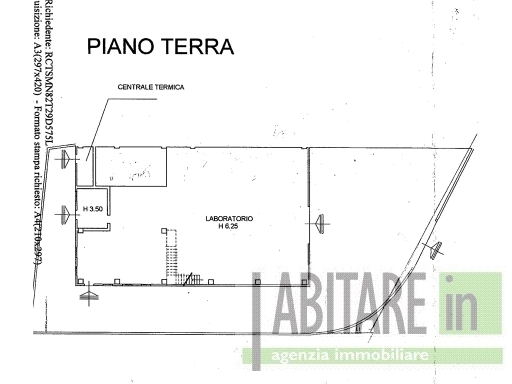 IL PIANO TERRENO A DESTINAZIONE LABORATORIO CON UN'ALTEZZA INTERNA DI M.6,20 ED IL PIANO SUPERIORE ADIBITO AD UFFICI, SPOGLIATOIO E 2 WC., OLTRE AD AMPIO PIAZZALE FRONTALE E RESEDE LATERALE ETERGALE. CLASSE ENERGETICA G, 228,13 KWh/mq anno.